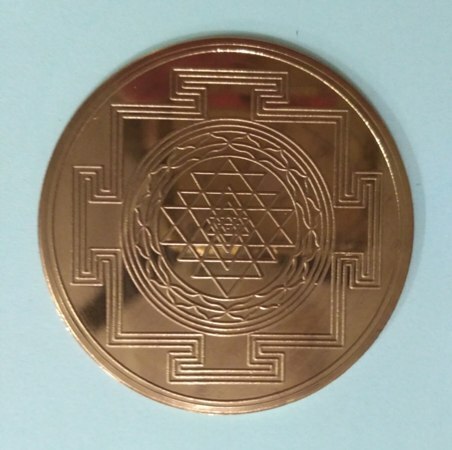 This copper Shree Yantra disk has been infused and charged with Pranic energy (Universal Life Force) in order to activate the healing power. This is generally done by maintaining the Yantra in special places of Shakti for a certain time and then charging them with vibrations of Mantras. Prana is the vital energy which pulsates through us and connects us with the Cosmos and it is the Pranic energy contained in this Yantra which makes it a powerful device ready to operate to protect you, to bring you health at all levels and also prosperity, both spiritual and material.